Enrolment Week continues here at Busy Bees Bury St Edmunds with Thrill Seeking Thursday. The children have all enjoyed Thrill Seeking Activities today. 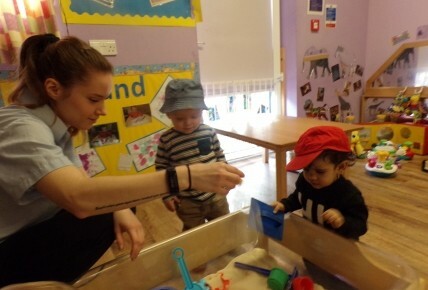 Our youngest children in our Bluebell and Poppy Room have been having great fun pretending to be at the beach. With sand and water play, the babies had great fun building sand castles and splashing in the water. There were lots of smiles and giggles from the children. The children in our Sunflower Room enjoyed a thrilling activity this morning of Foot Painting. 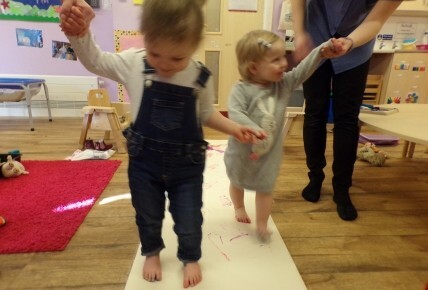 The children's feet were painted and they were able to walk along some paper and create a fabulous picture. The children laughed lots as the brush tickled their toes. Our Toddler Children have enjoyed talking about holidays and creating holiday themed pictures using some holiday brochures. Armaan, aged 2 years 8 months said "I like to go on holiday to the beach". Florence, aged 2 years 9 months said "I go on holiday with my mummy and daddy and sisters." 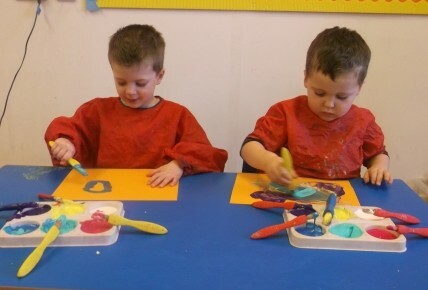 The children in our Pre-School Room have thoroughly enjoyed a thrilling painting activity. They have been painting to music. 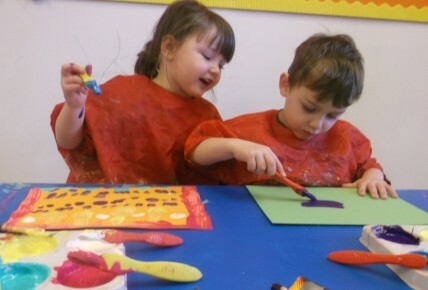 Whilst listening to Disney songs, the children expressed their creative painting skills along to the music. When hearing the Lady and the Tramp song, Alice said "Oh Lady and The Tramp. I love Lady and the Tramp. I am going to draw Lady and The Tramp in my painting." 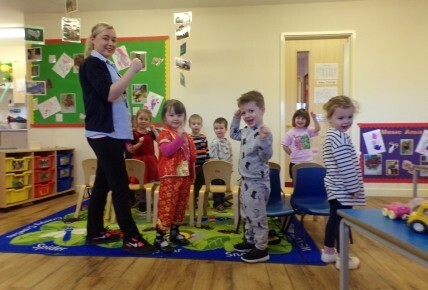 This afternoon, the Pre-School Children also enjoyed a fun game of Musical Chairs They had great fun joining in and tipping each other off of the chairs in order to win (with no tears) : ) The winner was awarded a sticker. We have had such a fantastic week here at Busy Bees. Look out for pictures tomorrow from our final day of Enrolment Week - Keep Fit Friday.